Spas are fantastic places to relax and get our favorite beauty treatments, help us to look our best and revitalize our bodies and minds. However, in our chaotic New York lives, we sometimes simply can’t make it there as often as we would like to. At the end of the day, we often just want to drag ourselves home and stay there. Virgos in particular are known to enjoy de-stressing at home more than any other sign, and if you are one like me, you know what I mean. I like to create my own oasis and enjoy getting everything done as much as possible in the privacy of my own little temple. It is the only place that I can really let myself totally go and indulge in the moment with my favorite tunes, drinks and beauty treats. If you want to pamper yourself at night with a spa like treatment that will leave your skin radiant and rejuvenated the next day, try the professional grade new CO2Lift by Lumisque, a holistic anti-aging, non-invasive treatment from Japan. This is not at all your average mask, but a new type of professional treatment clinically proven to improve the health and look of your skin in one session. It uses a new technology that forms carbon-dioxide and then transfers it into your skin to rejuvenate your cells. According to scientific tests, carbon dioxide oxygenation of the skin is key in stimulating the production of collagen and elastin. Simply spread the jelly like contents of the mask on your face and neck and wait 45 minutes before peeling off the dried up substance. 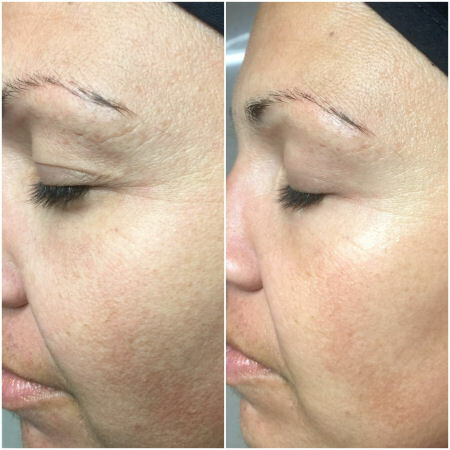 The results are awesome. After doing the mask one night when my skin looked stressed and polluted, I noticed that it looked plumper the next morning. The moisturizing benefits seemed even better on the second day, with a less dry, more dewy, youthful complexion. The results seemed to last for several days and increase over time. Do it every three weeks in the comfort of your own home for a lasting, youthful burst into your cells. Find it at http://www.lumisque.com. To create a more serene sense of being in the evening as you unwind at home after an exhausting day, discover the Rituals luxurious collection of body creams and soaps inspired by the wisdom of ancient Eastern cultures. The point of this collection is to inspire you to transform everyday routines into more meaningful experiences. Designed to help you slow down, the scents let you escape your worries by creating sensuous moments in which you delight in being you. I especially enjoy the Ritual of Dao and the Ritual of Ayurveda. For a more stirring shower experience, try the Ritual of Dao Harmonizing Foaming Shower Gel that hydrates your skin while nurturing your soul with a unique scent that takes you deeper into enjoying the moment. You will face the morning or end your day more satisfied. 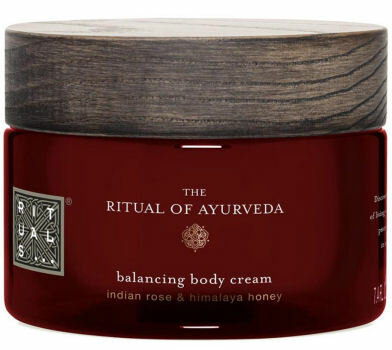 Also try the Ritual of Ayurveda Balancing Body Cream and learn to live with more balance as you inhale the regenerating scents of Indian rose and Himalayan honey. The rich cream leaves your skin soft but also alluringly scented. Find all Rituals’ illuminating collections at http://www.rituals.com, or in one of the Rituals boutiques, such as the one on 172 Fifth Avenue. The lasers you get at your doctor’s offices are fantastic but they are costly and not always at your doorstep. New home ultrasound devices are so good you don’t need to leave your bedroom to get the tightening or firming you crave. Have your doubts? 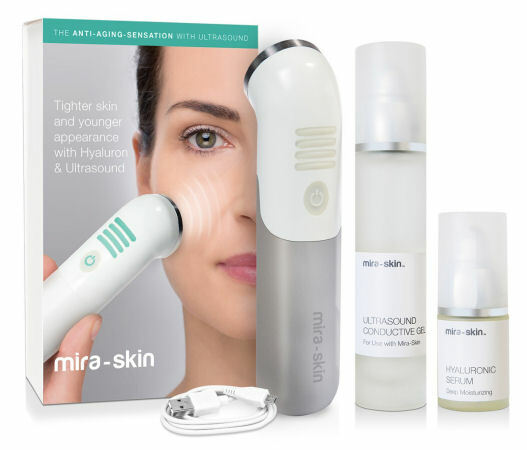 Try Mira-Skin Ultrasound Starter Kit, the first portable ultrasound facial device that allows for professional-grade treatment at-home. Created by Techmira, Inc., it uses gentle ultrasound technology to promote blood circulation, bringing more oxygen and nutrients to your skin. Through micro air oscillations of one million cycles per second, the device will also push anti-aging ingredients deeper into the skin. Non-invasive and easy to use, this safe device works even on the most sensitive skin, by promoting collagen and elastin, and improving texture and firmness. All you need is five minutes, three times a week. Find this must have home spa device that makes trips to the spa a thing of the past, at http://www.techmira.com. 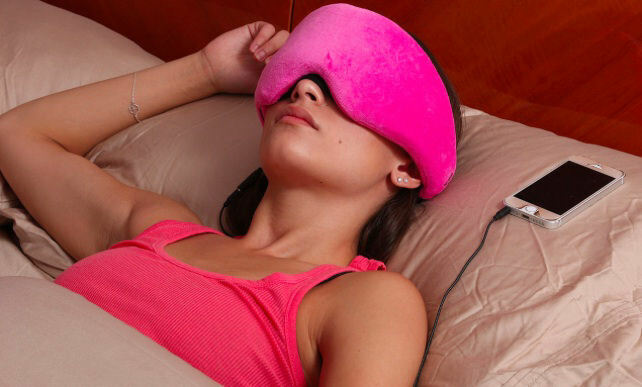 If you have trouble relaxing after a stressful New York day, try the Plush Eye Mask by 1 Voice with cozy, memory foam that lets you listen to your choice of soothing sounds while shutting away noise and chaos from the outside world. Choose either the Bluetooth enabled or plug in version. You can adjust the Velcro strap for the right fit and use anywhere you need to block out an over stimulating environment. Take it with you on all your trips to create your own area of peace anywhere. Find it at http://www.1VoiceNYC.com. 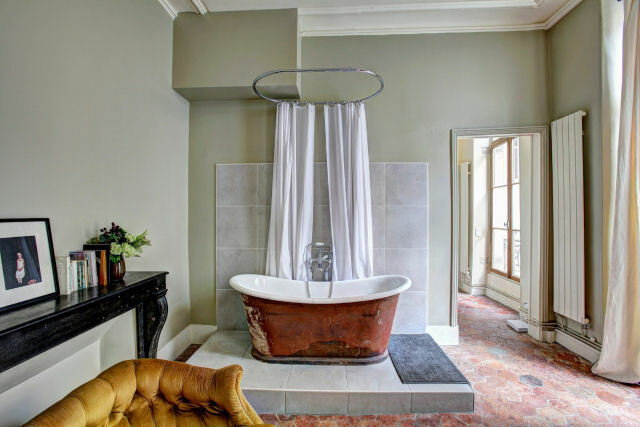 Unwind, relax and learn how to pamper yourself right at home with these fine treatments this spring. Red Wine For The Skin?